Hello there tipit, as you may or may not know, every week lightning clan chat takes a trip to the wilderness to say hi to the chaos elemental and the revenant army, have a cup of tea, then smash them in the face with a large axe. So if you want to come along and partake in this event, grab your equipment and join us at the time below. so now that you know what to bring and what to do, the next trip is below! Notes: Join clan chat lightning for the event. Before i begin, remember that this event will take place exclusively in mutli-combat wilderness of levels 50 and above. Revenant knights and orcs will attack, possibly in groups of up to four, so some people will die on this trip. On a brighter note, if you die someone will bless your grave and you can get back to regain all your stuff, so death is more of a minor inconvenience than a major problem. Everyone present should bring their best dragon hide armour, the chaos elementals best attack is his magic attack, so even if your melleing, dragon hide is a must. Also, a ring of life is useless here as it will not work past level 30 wilderness. 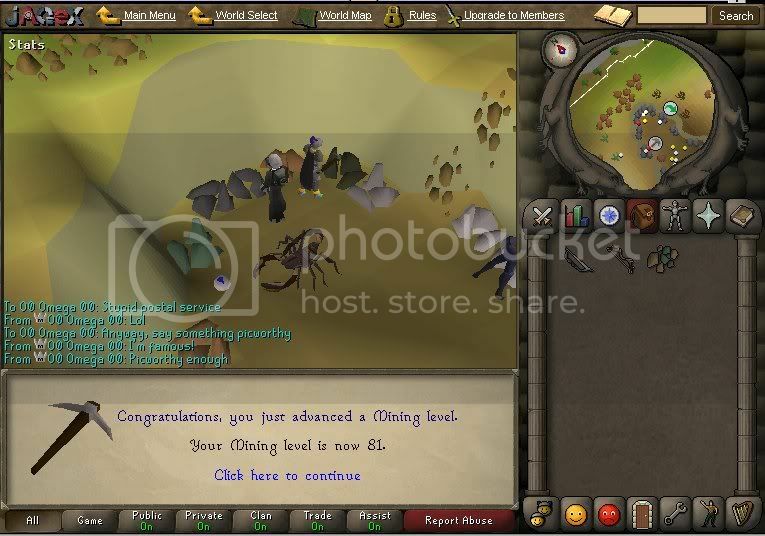 As mentioned, dragon hide or your best magic defence is your best best, bring a dragon dagger(p++) or specs and a main weapon such as a whip or dragon long or dragon scimmy. attack and strength boosting gear like helm of neitiznot, rune defender or god book are recomended. The rest of your inventory should be food, with prayer potions and super sets optional. Your best anti magic armour is a must, as well as either a rune crossbow and any bolt past mithril, avas accumulator should be brought as well as a god book to boost your range attack. Like warriors the rest of your inventory should be food, with a ranging potion and some prayer potions thrown in for good measure. Since you cannot wear dragon hide and attack with magic efficiently, I wouldn't recommend this method of attack, if you want to, bring your best mage attack boosting gear, with the spell slayer dart, iban blast (bring a back up spell if using iban blast since the charges will probably run out) a god spell or fire blast. your inventory should be food, with plenty of prayer pots. and mages should use protect from mage. the chaos elemental attacks an area instead of a player, so spreading out is a must, all warriors should attempt to surround the elemental at close range while the rangers and magers spread out at medium to long ranges. as well as attacking with all three forms of combat, the chaos elemental can unequip your items and teleport you away from him, if either of these happen to you, simply re-equip or run back to him. 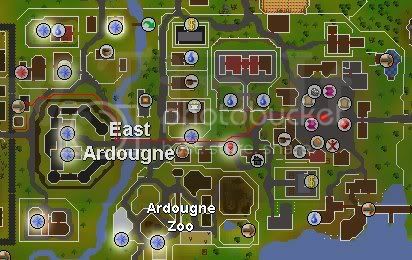 Using a glory amulet or varrock teleport, get to the wilderness and use the wilderness portals to get to the one at rogues castle, very close to the chaos elemental. Everyone who was at the last event and everyone who will be at the next. The chaos elemental for being so fun to kill. My keyboard for misspelling the word "chaos" to be "choas" nearly every time I typed it on this thread. Tipit, for letting me use their maps. yes, i've done a record breaking 100 gnome deliverys in a row! took me 3 days and i've recorded every piece of loot for your reading pleasure! now if you dont want to read all of that (dont blame you) heres a summary. 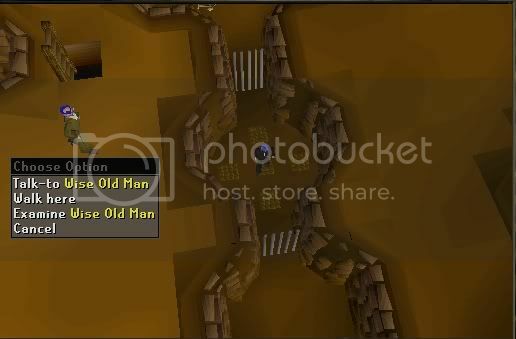 The wise old man... rogue in disguise? Sorry if this is old news, but how long has that guy been there? Welcome to my clue blog! My membership is going to run out in 2 weeks, so I decided to spend my time as a member doing loads and loads of clues. Well, I like clues.... go figure. Neither does loot, remember the good ones are bold! The notes section is just where I can put thoughts on the clue, like if I had to start a quest to do it or if I got a level during the trail or getting it (not likely but however) it might be to thank a player for giving/loaning me an item to do a clue, or whatever. Anyway enough with the rambling, on with the blog! Notes: I got a defence level killing jellies for this one, yay level 73! Notes: thanks brazille for lending me the ammulet of power for this clue!